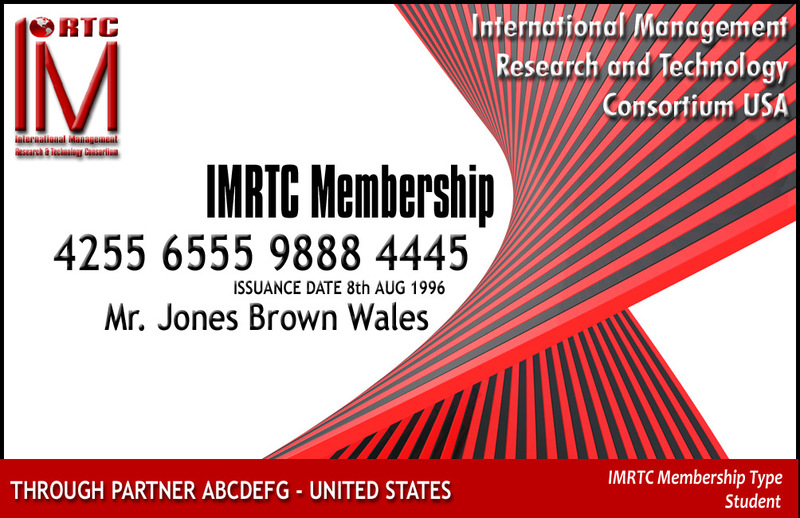 IMRTC Membership gives the individuals professional & International recognition for management and technology in the International market. The membership is offered to individuals, researchers, scholars, students, professionals, Industries and anyone who has achieved some distinction in his or her field. 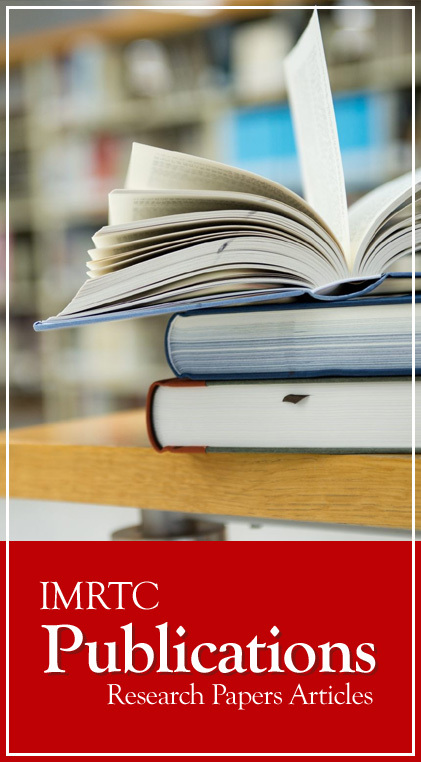 IMRTC membership gives management and technology professionals, organizations, Individuals and institutions an international platform where they can address local , national and global issues pertaining to academia and industry in a manner that benefits the society and global community in general. The platform also offers members the opportunities to network, interact, participate, contribute and collaborate efforts of their counterparts all around the world. The students of any recognized university, college or institute can apply for student membership. This membership will guide the students in their careers, while students will gain an international recognition they will also get an opportunity to see the industry trends and demands for professional qualifications. Further, the students can be a part as research candidate where they can submit thier articles, research papers with real time issues of industries (This membership helps the students, who are desirous about their best careers. If you are a Research Advisor, Trainer, Refree, Scholar and Professional and working in the field of Management or technology for last three years then you can join for this memberships. This professional membership will equip you with concern resources, and also provide and expand your professional development opportunities. After getting this membership you can be a part as research advisor, research refree or main researcher in your field. If you are associated with any sort of Industry and facing the real times issue, Which you could not find the appropriate solutions, then via this membership you can submit your issues and real problems in login area of memberships and get the appropriate solutions according to the issues. Management and technology is the core requirement today, so this forum is available to describe your actual problems and helps you to find the actual solutions. This area is especially designed to fill the gap between industries and students and professionals. If you are Professional Trainer and working with industry and providing your services in the areas of Training and development, then via this membership you can submit your credentials and login in your memberships area where you may get so many opportunities to excel your self. Management and technology is the core requirement today, so provide your inputs to resolve the issues and problems of the industry. Further, some new certifications has been launched and we will offer the opportunity to lead the training in their specific areas. If you are Professional Person in Technology Management or Administrative Management and working with industry and providing services in these areas, so via this membership to submit your credentials and login in your memberships area where you may find so many other professionals according to your field and you can share your experience with them to enahance and find new opportunities. Management and technology is the core requirement today, where technology management and administrative management have so many gaps and issues, which need to be resolved, so provide your inputs to resolve the issues and problems of the industry and standardized globally. Further, Global recognized Certifications has been launched in category of Technology Management & Administrative Management, which gear up the skills of professional and create new opportunities in the market.